Two new expansions for Sea of Thieves have just been announced at Microsoft’s E3 conference. Cursed Sails and Forsaken Shores will both arrive in the game over the summer, with the first going live in July and the second in September. The updates will add plenty of new content to Rare’s seafaring adventure, including, it would seem, skeleton crews that will sail the sea taking on unfortunate sailors. It seems that that will herald the arrival of a new boss, a new skeleton captain for players to take on, much like the Kraken and the Megalodon. The two trailers also suggests that there’ll be new volcanic islands added as a new area of the map. 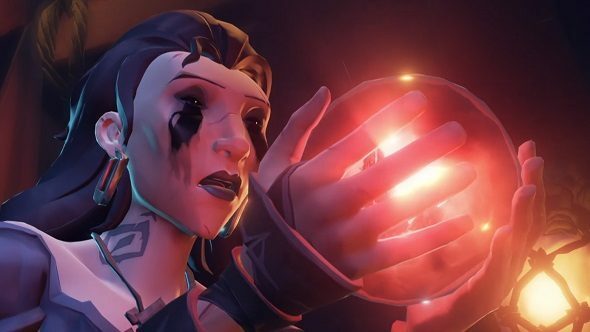 It’s not immediately clear which update will contain what, as the focus seemed to be on Forsaken Shores in particular (it was even mentioned by name in the trailer), but I expect we’ll find out more in the coming days. Sea of Thieves has some great underwater monsters, but have you ever wondered what some of the worst boss fights are? You can check out the new Sea of Thieves trailer below. Check out our list of Sea of Thieves tipsif you’re thinking of heading out onto the waves when the new expansions drop, lest to the briny deep ye be consigned. Sorry, got a bit carried away there.